Poet, novelist, author of the Seth Material, Jane Roberts's books have sold over 7.5 million copies. She was one of the most important psychics of the twentieth century. Now, Speaking of Jane Roberts reveals a woman as fascinating as the material she produced. Susan Watkins and Jane Roberts were friends for sixteen years. Early on, Seth, the entity who spoke through Roberts, told the two women that they were counterparts, connected in this particular lifetime to work out some shared personal issues. 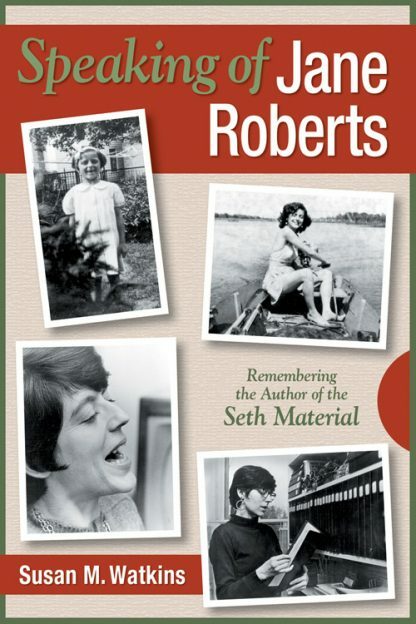 In addition to being a compassionate and sometimes painfully honest look at Roberts's life--her difficult childhood, her constant questioning of psychic abilities and sources of creativity, her resistance to Seth's advice, her dramatic struggles with her health. Speaking of Jane Roberts is also a beautiful and applicable illustration of the counterpart relationship. The connection that Watkins and Roberts shared reveals something important about the power and mystery of the connections we all share with the people closest to us. * Watkins also offers original insights into the phenomenon of channeling. Susan Watkins is the author of books in several genres. Her most recent is What a Coincidence!, which explores the meaning of coincidence in our lives. She lives in upstate New York.